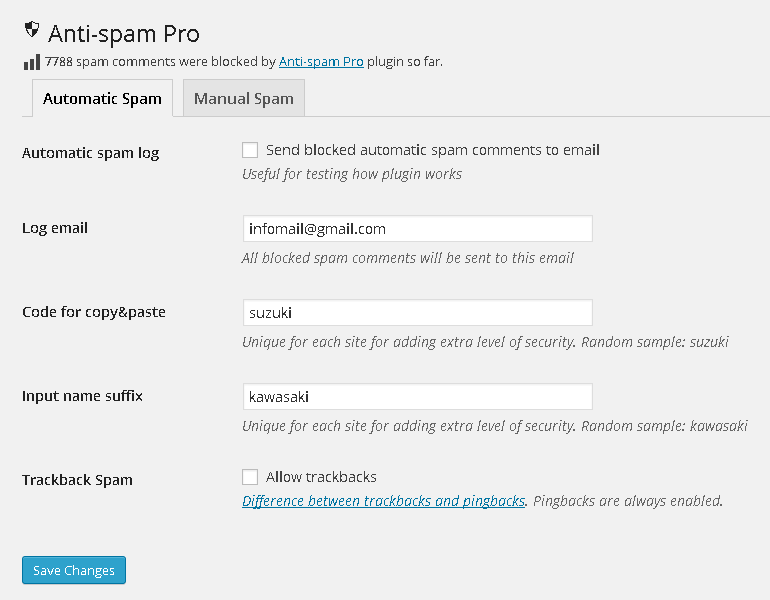 Anti-spam Pro plugin blocks spam in comments. 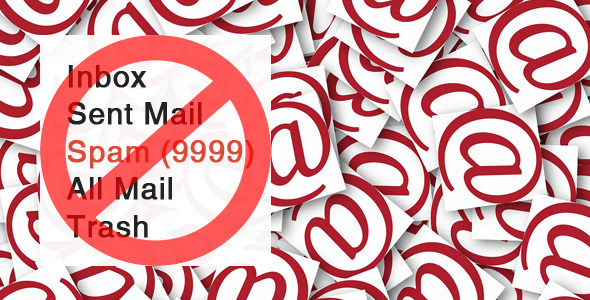 Anti-spam Pro is powerful and extended version of free and popular Anti-spam plugin. After installing the 'Anti-spam Pro' plugin try to submit a comment on your site being logged out. If you get an error - feel free to ask for help with detailed information about the error using comments section on CodeCanyon or comments section on web-profile and I will do my best to solve your issue. and the Anti-spam Pro plugins? and also has manual spam protection using "spam-points algorithm"
What settings does Anti-spam Pro plugin have? How does Anti-spam Pro plugin work? Plugin distinguishes automatic and manually submitted comments and use different spam checks to block spam. 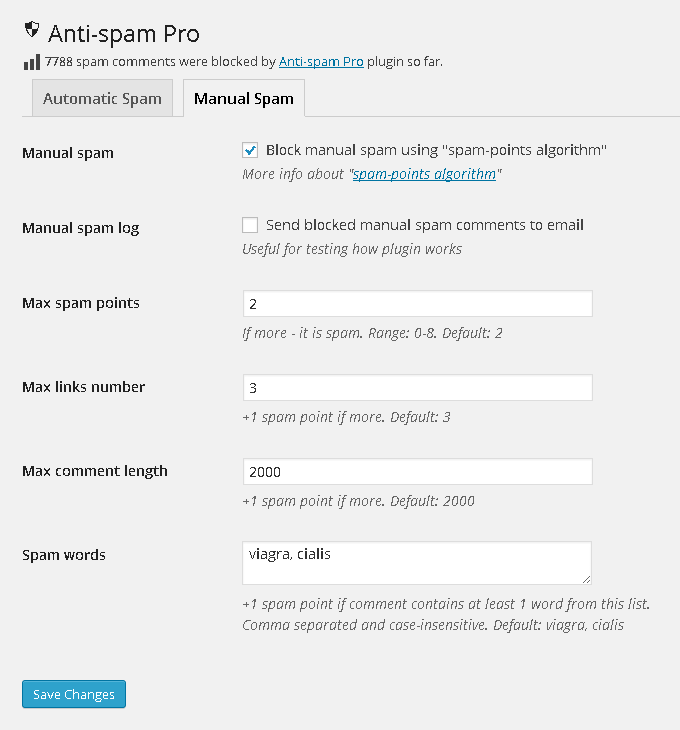 How does Anti-spam Pro plugin block automatic spam? Two extra hidden fields are added to comments form. First field should be filled with unique code. Second field should be empty. If the spammer will try to submit comment form, he will fail to fill code-input with correct code or will try to submit an empty field and spam comment will be automatically rejected. The Anti-spam Pro input names have random unique suffix what adds extra layer of protection. How does Anti-spam Pro plugin block manual spam? Plugin uses "spam-points algorithm" to check if comment is spam. If the comment will have more than 2 spam points (can be changed in Settings) - the comment will be blocked because it is manual spam. How to test what spam comments are rejected? You may enable in [Settings] = [Anti-spam Pro] section sending all rejected spam comments to email. You can also find the total spam blocked counter in the Anti-spam Pro settings section. If you installed and activated the plugin and you still receiving spam - probably this could be because of some other forms on your site (for example comments forms). Anti-spam Pro plugin blocks 100% of automatic spam messages (sent by spam-bots via post requests) and about 70% of manual spam. Which license should be bought for Multi-site? Extended license should be bought for Multi-site. "Yes – they would need to purchase the extended license. Jeffrey"
So trackbacks are blocked by default but pingbacks are enabled. You may enable trackbacks if you use it in [Settings] = [Anti-spam Pro] section. You may read more about the difference between trackbacks and pingbacks. added ability to block manual spam using "spam-points algorithm"
now Anti-spam Pro input names are unique on each site with Anti-spam Pro plugin because of randomly generated suffix. initial release. Extended Anti-spam plugin with Settings page. I've been using it for about a couple of months. I am very pleased. Thank you. This plugin is so usefull that i bought the pro version!